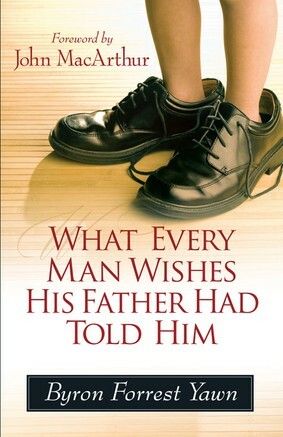 I just finished reading Byron Yawn's helpful and convicting book, What Every Man Wishes His Father Had Told Him. His chapter on ambition was great. But the chapter on integrity was even better. Challenging us particularly in the context of how we will be remembered after we're gone, Byron very accurately describes the deceptive gap between what is often said about a person at the end of their life, and what is actually true about that person throughout their life. His point? The increase of our integrity will be directly in proportion to the decrease of that gap. More lies are told at funerals than at any other occasion. They are forced out as the silent deceptions of a man's character are finally dealt with at his memorial service. People spend lifetimes covering or ignoring the truth of who they are. Friends and family, who spent their lives playing along with the deception while they were alive, stick to the beloved's script in the end.... It's a bizarre type of courtesy paid to the bereaved. But it's a disservice to reality. We should speak up sooner. There's nothing so powerful as a life that speaks for itself. A life that is its own benediction. A life that is a translation of integrity. We carry the final chapter of our lives around with us every day we live. We're the mosaic of every decision we've ever made. When we die we push print. You're going to die. Maybe tomorrow. Maybe tragically. Maybe forty years from now. Your family, in one way or another, will be faced with the task of digging around in the remains of who you were. As you are dead, there will be nothing you can do to stop them. Those defenses that kept back the truth about you while you were alive will be powerless in death. Your children will face the truth about you. They may come to discover things they never knew about you. They will face a locked cabinet of one sort or another. What will they find there? This is sobering. This makes me think about those daily decisions. It makes me wonder if I'm ready to hit the print button. But if I'm not careful, I'll stop there, when there's even something more to consider: my eulogy cannot be my motive. There is Another who already knows my beginning and my end and everything in between must be pleasing to Him, not merely impressive to my mourners.